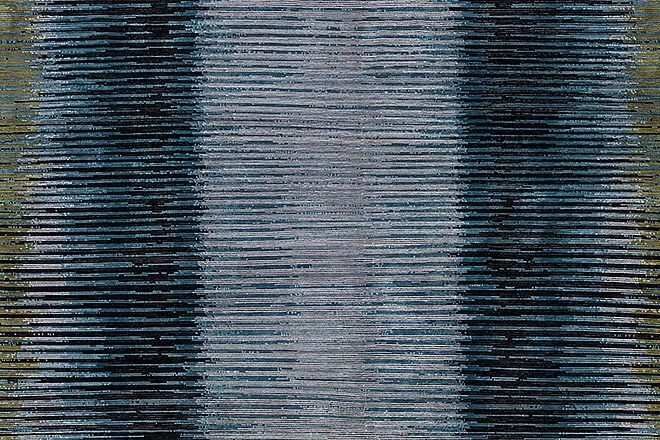 As our rug of the month February 2016, we would like to introduce you a particular piece from our brand new Mamlin Collection. This exclusive collection is the realization of a long-term idea of Mischioff director and designer Dani Misio. Already about ten years ago, he created a series of colored stripes paintings in oil on canvas and exhibited them in a well-known Zurich art gallery. 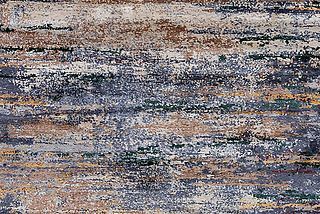 The idea to transfer this artistic gradients to a modern and decorative rug collection has been long and hard work - until they could finally be brought to carpet this year. The collection was presented for the first time at the important fairs DOMOTEX in Hannover and IMM Cologne to the international audience. 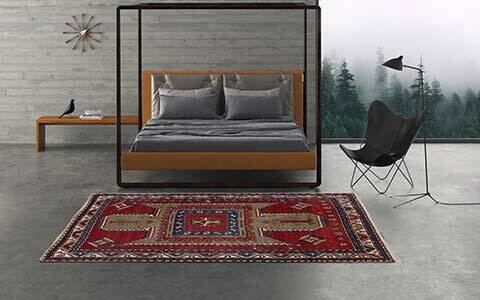 All steps to create the Mamlin rugs are made entirely by hand in a modern Mischioff manufactory in Nepal. The precise implementation of the predefined gradients, consisting of about ten to twelve different colors, requires a careful handcraft and a lot of experience. 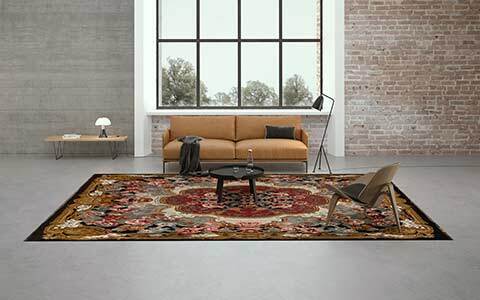 For a rug in the size of 300 x 230 centimeters three workers are weaving about 10-12 weeks, an additional month is necessary for finishing. 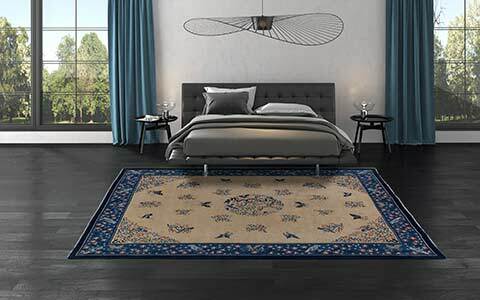 With about 160.000 knots per square metre, the Mamlin rugs are knotted quite carefully and precise – an important prerequisite for the high quality of the final product. 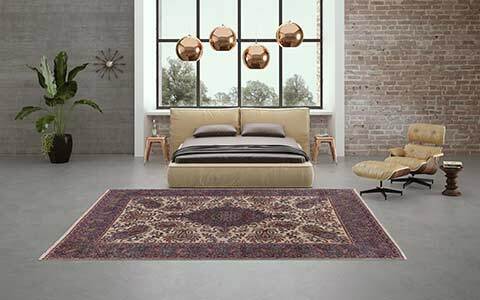 Similar to the rugs of the Tibey Collection and as an additional style element, the Mamlin Collection has got slightly different pile heights, which provides a particular structure of the rugs. 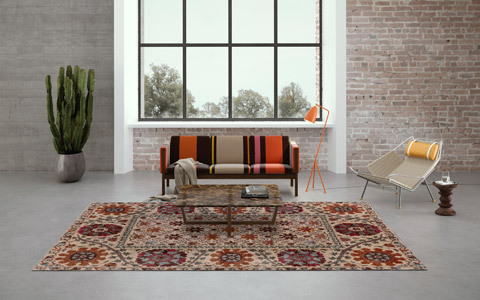 In the background lays a solid-coloured, woolen line, which slightly breaks the design of the rugs. 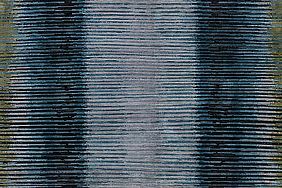 A few millimeters above, the silk line shows the actual design of the coloured stripes. The pure silk provides a very elegant appearance and a pleasant soft pile of the Mamlin. Thanks to this special knotting technique, the Mamlin rugs have got the feel like a pure silk carpet. The Mamlin Collection currently shows eleven decorative and varied color compositions. Every single color combination shows a unique colour concept and has their own look. As a world premiere, Mischioff presentet the Mamlin Collection at DOMOTEX Hannover and the IMM Cologne 2016 to the international audience. We are very happy about all the positive feedback we got during the fairs. We are proud to be part of this years “Furnishing Cologne” campaign, which presents eleven selected, innovative products photograped in the city of Cologne. All information and pictures of the campaign are available here. 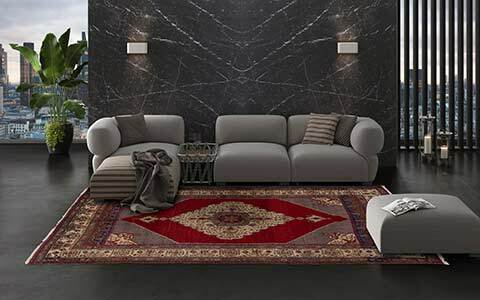 Do you wish further information about our rug of the month February 2016 or about other rugs from our diverse collections? Please contact us for your request - we are looking forward to you request and inquiries!